Rolex’s 2017 GMT Master II with its bi-color black and blue ceramic bezel has inspired yet another affordable derivative – this time from German watchmaker, Marcello C who have released two models sporting blue and black 24hr bezels. 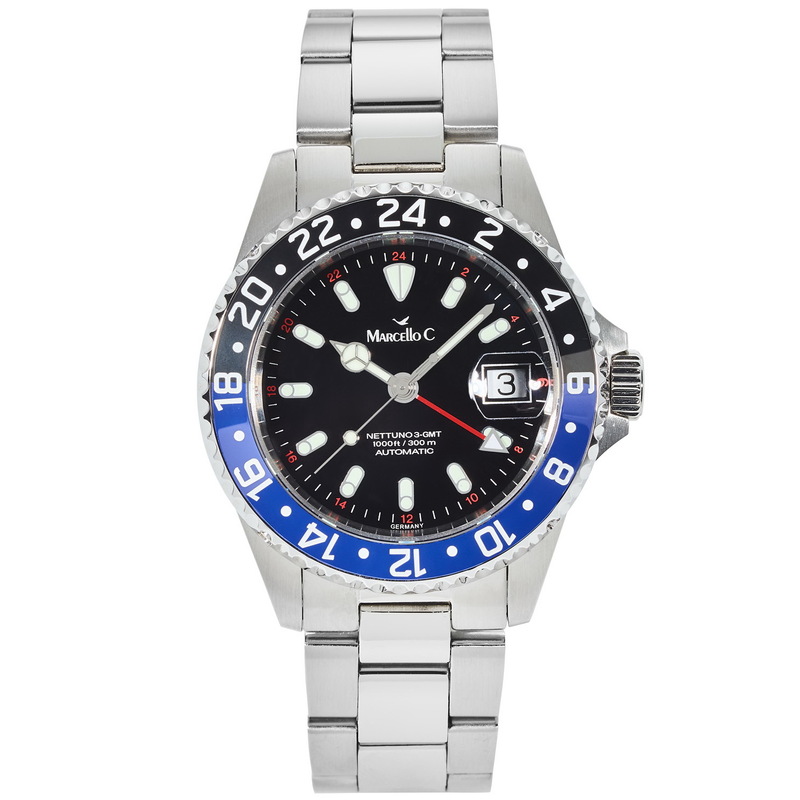 Davosa, Deep Blue, Steinhart and Marc & Sons (coming soon) all have released their answer to the GMT Master II. 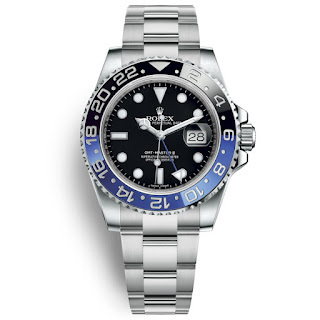 Steinhart were quick to give their GMT-Ocean One 39 a Pepsi bezel and a Jubilee bracelet, shortly after Baselworld this year – that might be the one to go for if you aren’t on a Rolex or Tudor budget. Meanwhile the Tridente GMT has a 40mm Stainless steel case with 300m of water-resistance and an Elabore grade ETA 2893 automatic movement. Its MSRP is approx. 1300euro. Its brother, the Nettuno 3 GMT has pretty much the same spec. 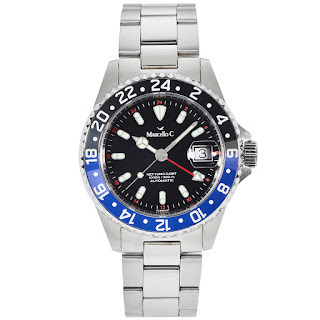 It has an MSRP of approx. 1200euro. Thoughts? 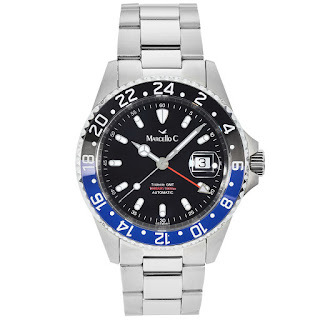 Nothing ground-breaking here, I know they have Elabore grade 2893s, but these are bloody expensive for what they are plus they lack the charm that you get from the Steinhart GMT-Ocean 39 which BTW has an ETA Elabore 2893-2 for just 420euro.